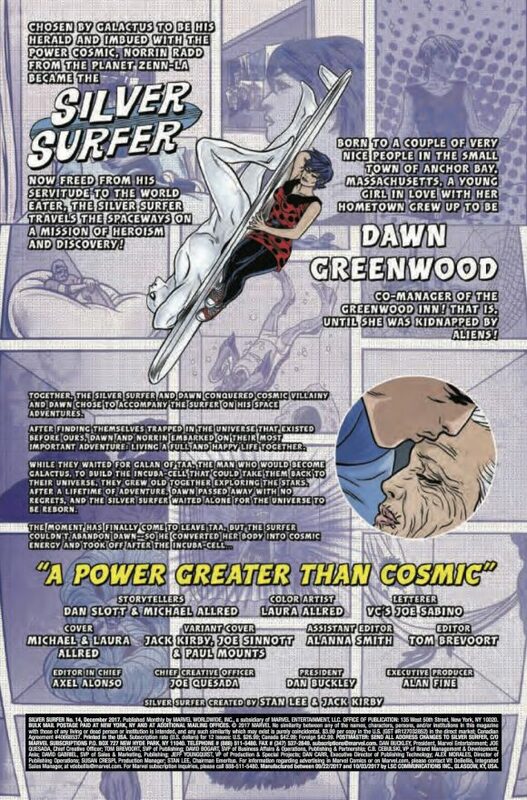 Until 2014, I never read an issue of Silver Surfer. Never. Not once. My comics interests tend toward the street level and when I do venture into sci-fi or the fantastic, it’s usually with characters who are still recognizably human(ish), like Superman or Green Lantern. 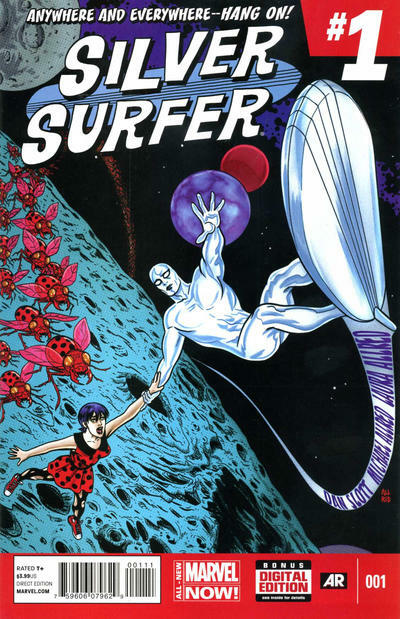 Silver Surfer? Just way too out there for me. Maybe it’s a failure of my imagination. I don’t know, it’s just how I’m wired. But I’m a big fan of Mike Allred’s work, so when I saw he was launching a new title with Dan Slott, I figured I’d give it a try. What I didn’t expect was a series — spread across two volumes, actually — that turned out to be the most romantic, and one of the most humanistic, I’ve ever read. 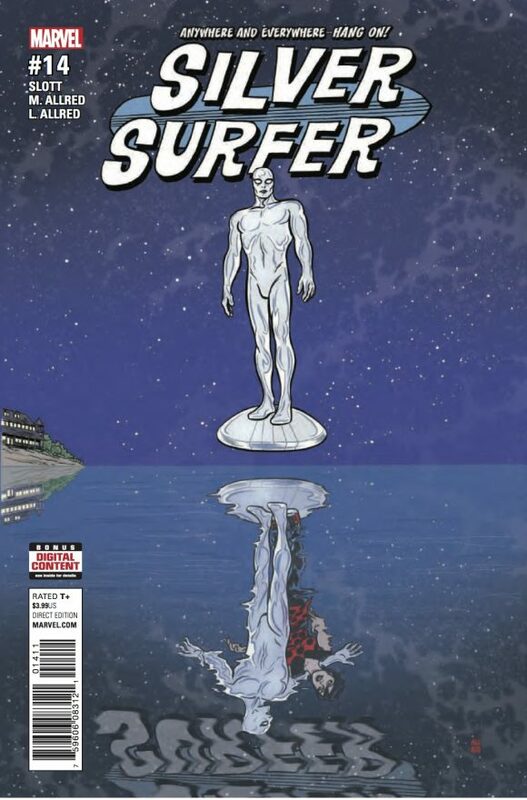 Silver Surfer has been a triumph for Slott and Allred (and colorist Laura Allred) from the jump and a small corner of my heart is breaking now that the final issue is upon us. Thanks Dan I totally agree. 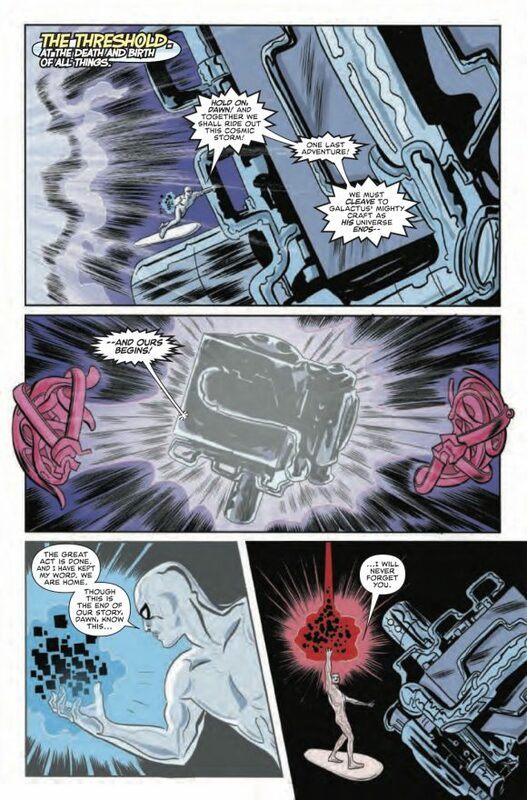 The way this series has been done is what comics could be about. But today’s readers do not seem to be up for it. Who wants to see a superhero be super mushy ? And learn from a women ? 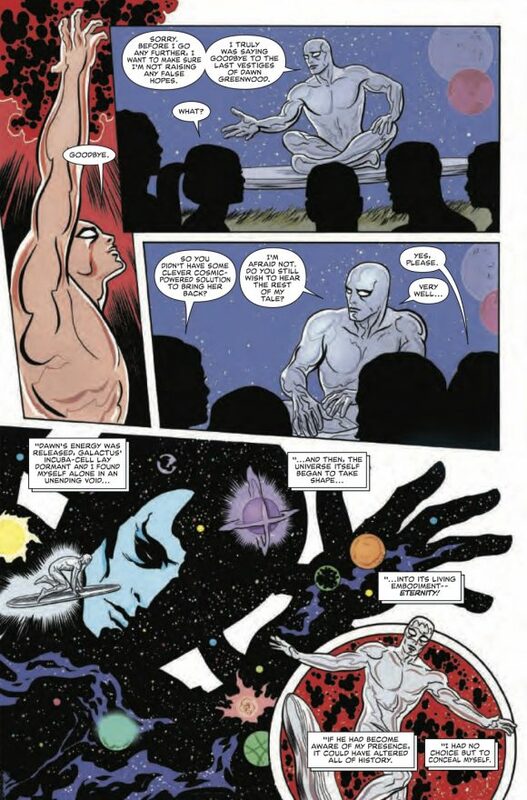 The character Silver Surfer maybe the greatest character created in comics. 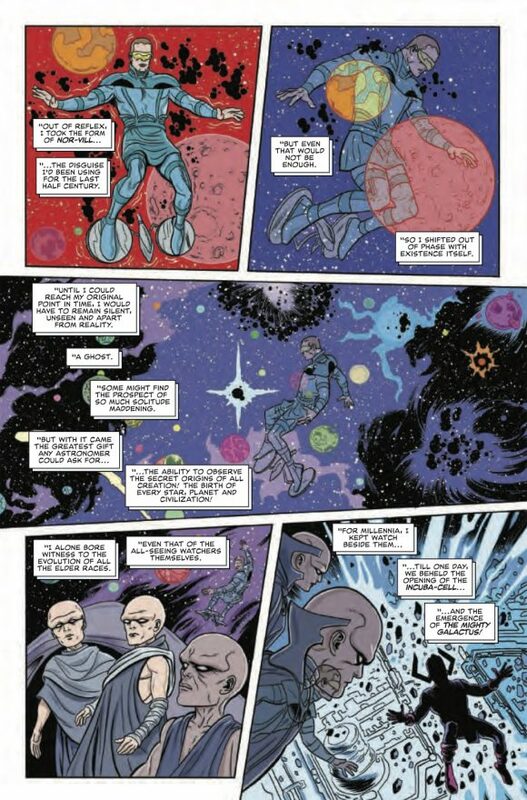 I would love to see a Real Captain Marvel/Billy team up with the two principals in the current Silver Surfer construction. My heart might burst.